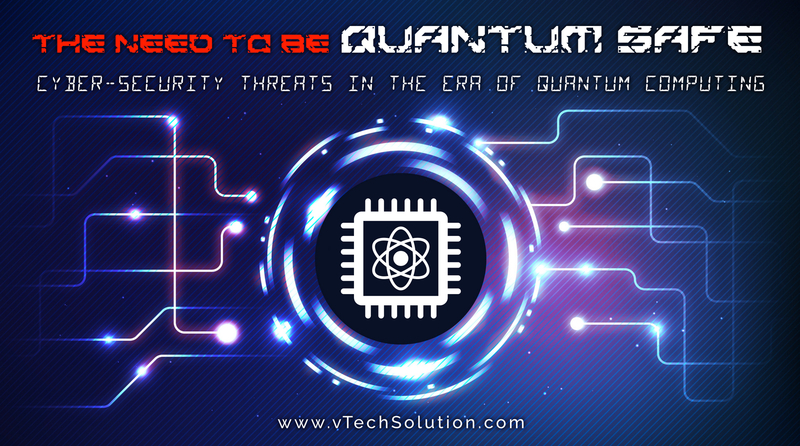 The Need To Be Quantum Safe- Cyber Security Threats In The Era Of Quantum Computing. Quantum computers are built on the principles of quantum mechanics and are extremely powerful machines. They exploit the complex laws of nature that are always present but not always visible, or in other words, cannot be computed by our classical computers. Quantum computing can process complex algorithms very easily and briskly. It can effortlessly guide us towards revolutionary breakthroughs in materials and drug recovery, artificial intelligence, and much more complex man-made systems. For example, consider a caffeine molecule; it is so complex in nature that no existing classical computer can fully understand its molecular structure and attributes, this is one of the many complex tasks a quantum computer can handle. Classical computers encode data in bits valued 1 or 0; a bit acts as an on/off switch which ultimately drives computer functions. 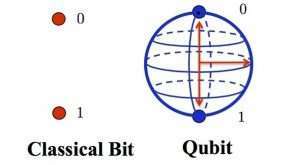 On the contrary, quantum computers are based on quantum bits or qubits, which function according to two key principles of quantum physics: superposition and entanglement. Superposition suggests that an individual qubit can represent both a 1 and a 0 at the same moment while entanglement implies that qubits in a superposition can be correlated with each other; which means that the state of one (either 1 or 0) will depend on the state of other. This allows them to perform incredibly complex calculations at speeds unthinkable and solve categories of problems that are beyond the reach of today’s most advanced supercomputers. Experts predict that, within the coming decade, large-scale production of the quantum computer is inevitable. cryptography. Public key cryptography uses a pair of keys to encrypt information. A public key can be shared generally, and a private key is only known to the key’s owner. Anyone can encrypt a message using the assigned receiver’s public key, but only the recipient can decrypt the message using his/her private key. The system is considered more secure when determining the private key from its corresponding public key is difficult. Public key cryptography is the very basis on which all our online data and digital transactions are protected. Bikash Koley, CTO for Juniper Networks, explains cryptography’s basic premise by stating “The algorithms are designed in a way that acquiring the private keys from the public keys is nearly impossible,” he further added “For traditional computers, for example, it would take thousands—to millions—of years, depending on how many bits there are in the keys. Quantum computers are very good at number crunching, especially for a specific type of problem”. Considering organizations like governments, financial institutions, and healthcare industries who depend on long-term data protection requirements, a “harvest and decrypt later” attack will jeopardize their security objectives. There is extensive understanding that quantum computers will hamper contemporary security protocols that defend global economic markets and the internal workings of the government. We are clearly aware of the damage that an individual hacker can inflict when he infiltrates a system; now imagine an interception of national or state-sponsored attackers on the financial data that flows across globally, it will simply be catastrophic. Today the average cost of a quantum computer is $15 million, which indicates that it can only be afforded by well-funded tech companies, research universities, and most-likely national or state institutions. But that doesn’t mean that penetration of this technology won’t get affordable, eventually, everything does. The pre-quantum era is the right time to adopt quantum safe encryption, which is based on mathematical approaches that challenge the quantum computers; we need be quantum-safe and ready as soon as possible. Banks, hospitals, government agencies, utilities, airlines, etc. need to consider now about how to achieve security and encryption that will withstand a quantum attack. When we ensure that every point through which data flows is protected by quantum-safe security, that will be the turning point in cybersecurity. Ignoring quantum computing’s rising threat is like neglecting a tsunami alarm, you won’t be safe just because your roof has no leaks.